World famous Bells Beach, Victoria, is renowned for its consistent big surf and is home to the longest running contest event on surfing’s World Championship Tour. The contest final on Easter Sunday 1965 was an epic event when Bells revealed its awesome power on a scale not seen before. The surf was extremely big and dangerous as depicted in this photograph of the shorebreak at the Winky Pop end of the beach. © Barrie Sutherland Heritage Photograph. Did I mention I like big waves? 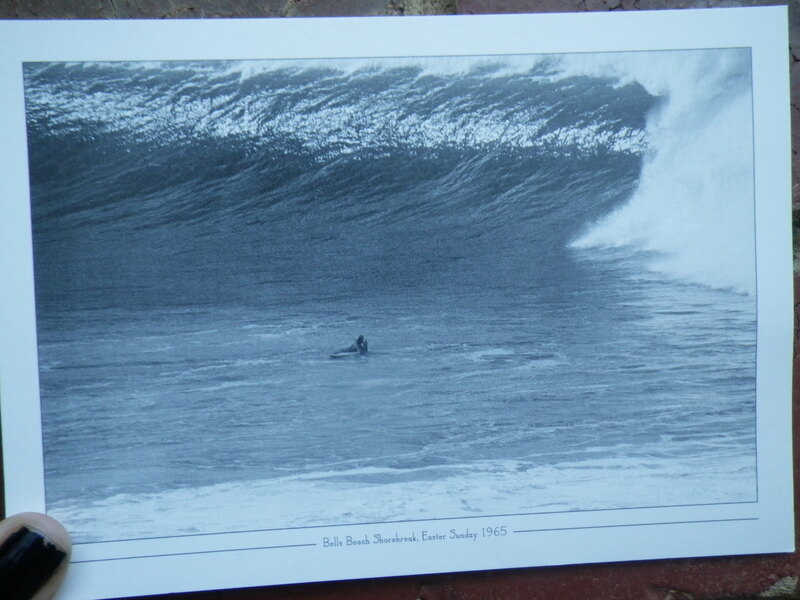 Barrie Sutherland is an Australian pioneer surf photographer who surfed and photographed the Victorian Surf Coast during the 1960s. His work is noted for its strong tonal quality and composition, reflecting the power-laden ground swells of the Surf Coast.